The Wolfe is one of the most awe-inspiring EPIC romances that you could ever have a chance to pick up in your lifetime. There was so much passion….so much zest and goodness in this book that I soaked it up like a sponge and I never wanted to let go of it. Granted I know the length will really scare some people off, however, I delight in challenges and what is even more fantastic is having this treasure as a part of the romance audible package which makes it the LONGEST audiobook I have ever listened to in my life. This 900-page book turns into 37 hours of listening!!! Yes, you heard me 900 PAGES!!! I don’t think I have ever read a book that long (other than my religious scriptures of course) so it can be daunting but I swear the moment you pick it up it sweeps you off your feet. The story starts out 1231 A.D., our heroine of the story is a highland lass, daughter of the Laird of Clan Scott. Their clan is close to the English/Scottish Border, and there are many battles between the two countries. Shortly after a bad battle, Lady Jordan aids an English knight, known as the “Wolfe” who is injured, never expecting to see this compelling man ever again. But when there is a peace offering, a treaty, both parties agree that the time for warring is over and the era of peace is deserving after all the good people they have lost on both sides. So Lady Jordan is to be married to the Earl of Teviot. Lady Jordan knows how important this treaty is, and even though she would rather marry a man of her own choosing, she knows that this is the right thing to do. But what she didn’t expect, is the man coming to bring her to the Earl of Teviot, is one of the most powerful knights in England and the same man she healed months earlier….The Wolfe. As William, escorts Lady Jordan to England to be married to his liege lord, his feelings for this strong and kind woman grows and he wonders if he can let her go to marry another man to maintain the peace which is so important. I first want to give a warning though about the narration. This wasn’t my favorite narrator to be honest, not nearly as talented as Brad Wills (who narrated the first book in the series) and I am pretty sure the speed is wrong. Because I normally keep mine at 1.00 however you will need to speed it up to 1.25. But I grew to really like this narrator, it took some time though but I really grew to love his deep voice and the inflections of the characters turned out to be so wonderful that I couldn’t get enough. I would always look forward to listening to him every day. Now I will say that this book took me 10 days to listen to. But it just didn’t feel like it was that long to be honest. What I am coming to really appreciate about this author is how she spins a tale so flawlessly that you don’t notice the length at all. You just look forward to picking up the story and not worry about it being rushed, it flows so smoothly and the historical details…OH MY!! I could go on for days about the historical context alone. Simply superb. And I did like that the details don’t bog the story down, it only enhances it so well. 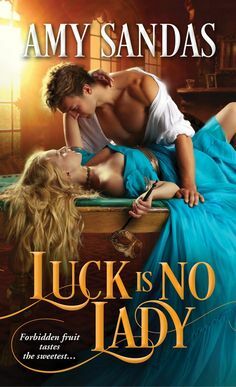 There is quite a bit that happens in this book and it’s so much more than just a “forbidden romance” as the blurb indicates. Both William and Jordan are taken on a journey that is riveting and engaging to the reader, you won’t want to put this couple down. Their story is so compelling, we see them grow and change through the story while facing a great enemy. This story is not easy at times, especially when you deal with enemies that you don’t see and how greed and lust for power can bring about devastating consequences. But we also see the good in men, we see the strength, honor, and courage of men and women as they face these trials that they are faced with. We also get some side stories revolving William’s knights and the women they fall in love with. We also get to see the workings of the villain and this enhances the plot and really thickens the suspense and intrigue of the story. The main characters are both wonderfully penned in this story. Our hero may be a powerful knight and full on alpha male…but the kind of alpha male you love reading, the kind you would want to marry in real life. He is strong and powerful, but he also is kind-hearted and compassionate. Our heroine, Jordan, is sweet yet strong. She has some flaws, that make her human and come to life. She has such inner courage you admire, but when she is passionate about something she surely can kick booty for sure especially when it comes to defending the man she loves. I felt such a kinship towards both of these characters, they turn out to be so likable and endearing and after reading their story I feel like we are “bosom friends”. And I have to say I have never read such an unique epilogue, that was a bit confusing but once you finish it, you burst into tears, the emotion displayed in this story from beginning to end is so raw and heartwrenching. Overall I found The Wolfe to be an intense and engaging roller coaster of a romance that swept me away in history, in desire, in the fight of good defeating evil and the true honor of humankind and the power of true love!! EMPOWERING! !